Here is a comprehensive instruction manual covering every aspect of exterior, interior, and electromechanical home inspection—basic enough for a layperson and detailed enough to be a working tool for professional home inspectors. Revealing techniques and methods used by experts, this heavily-illustrated reference details how to evaluate the condition of a home or condominium apartment. Precise step-by-step procedures enable the reader to inspect a home as though accompanied by an inspector with many years' experience. 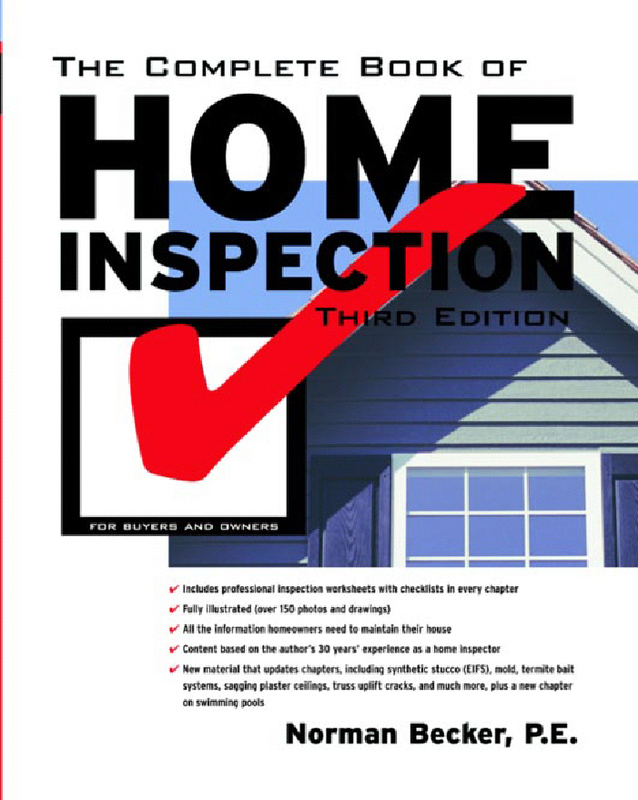 Written by a professional home inspector, COMPLETE BOOK OF HOME INSPECTION, 3rd Ed. is packed with photographs, dozens of checklists and worksheets, and a valuable summary which appears at the end of each chapter.